The clucking of hens blends into the sounds of summer in Pogue’s suburban backyard; which contains a patio, lawn, perennial garden, vegetable patch, and chicken enclosure. Pogue cleans the coop and run once a week and adds the used straw and wood chips to a compost pile in the corner of her yard. The mixture makes good winter mulch for her organic vegetable garden. 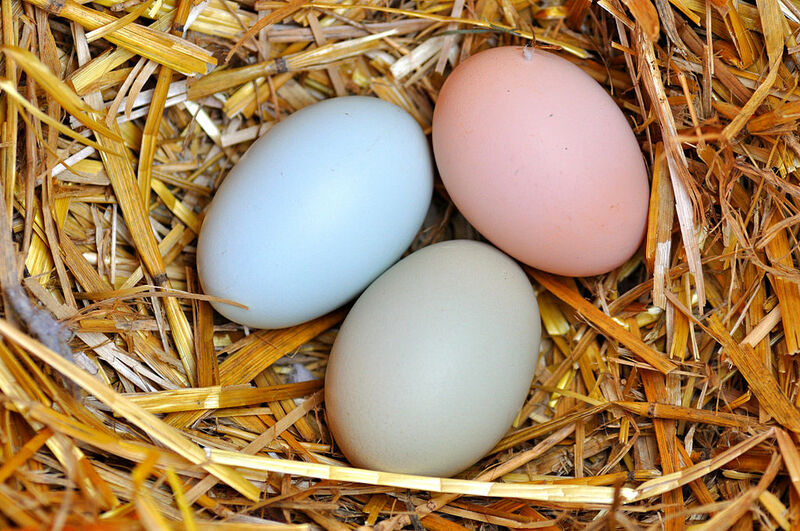 Omnivores, the hens also eat up kitchen scraps, insects, and mice. A ramp provides access to the elevated coop. 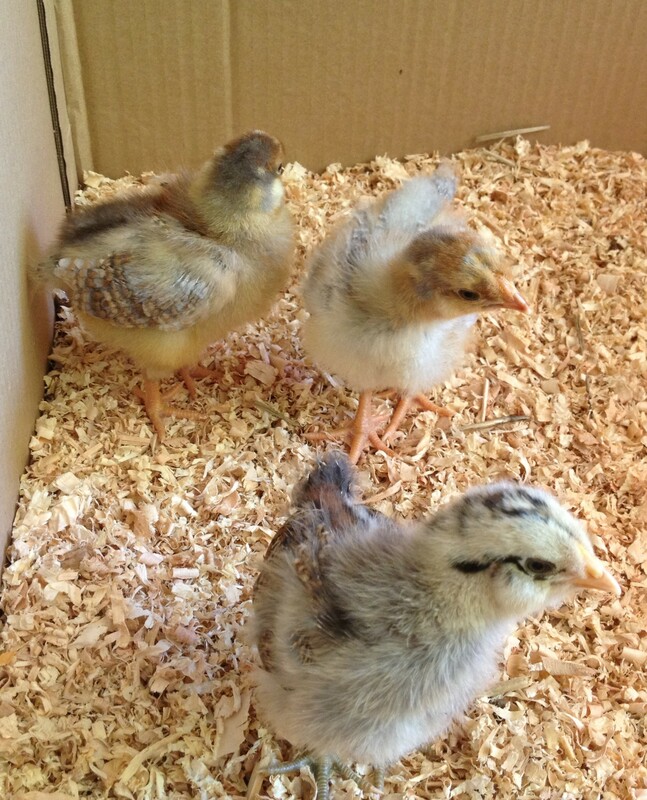 Three days-old chicks — now known as Henrietta, Misty, and Fistik — arrived at the post office last July in a small cardboard box with breathing holes. They sheltered in Pogue’s garage until September when they were big enough to go outside in the small compound hand-built by a colleague, Garden horticulturist Dale Whiting. 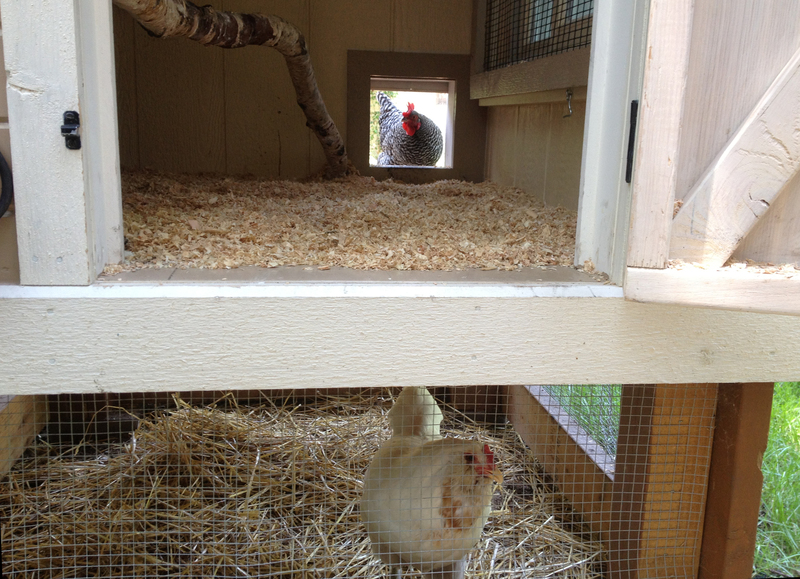 Whiting built the coop, ramp, and run for about $300 (spent mainly on hardware). He kept costs low by using wood scraps, slightly damaged lumber sold at deep discounts, and shingles leftover from a neighbor’s roofing project. The roughly five-by-five foot coop, and eight-by-seven-by-six foot run can shelter three to five cold-hardy hens through Chicago’s sweltering summers and bitter winters. A heated dispenser prevents the chicken’s water supply from freezing, and on the very coldest days, Pogue uses a small heating element to warm the coop. Pogue was sure to select breeds that can tolerate freezing weather. Henrietta is an Easter Egger, a chicken named for its beautiful blue and green eggs. Misty and Fistik are Barred Rock chickens, which do need an occasional application of Vaseline to keep their prominent combs from freezing in the worst of winter. The three are in their peak laying year and provide Pogue’s family with one to two eggs a day. “Every time I pick up an egg I’m amazed at how perfect they are,” she says. The many rewards of backyard chickens have inspired Pogue to expand her flock with three new chicks — Cody, another Easter Egger, and Pearl and Olive, hardy blue laced red Wyandottes. The days-old chicks are bright-eyed and fluffy, small enough to hold in one hand and cute enough to steal anyone’s heart. New arrivals, Cody, Pearl, and Olive. Before getting too involved, it’s wise to check with your local officials. Not all municipalities allow residents to raise chickens. Those that do often ban roosters and limit flock size. I am hearing more about this phenomenon of keeping chickens. I found it very interesting and intriguing. Next Next post: Fall Migration is Here!